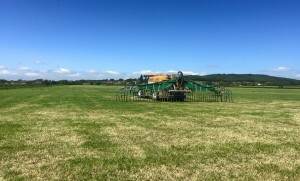 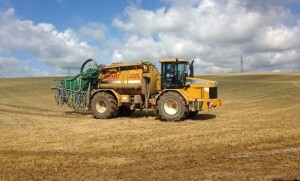 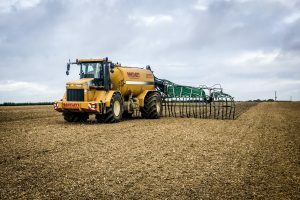 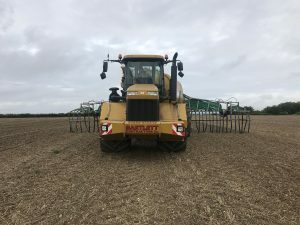 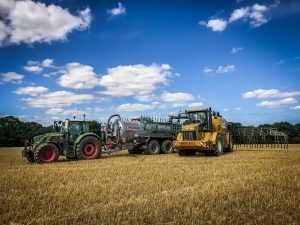 The Terragator 2244 is a self propelled four-wheeled spreading unit with its own spreading tank on the chassis. 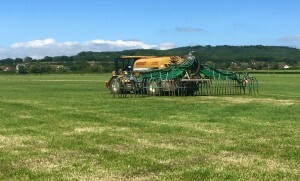 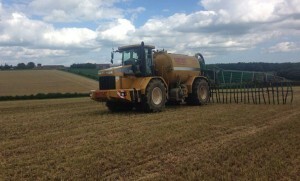 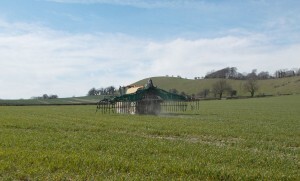 The tank can hold up to 3,300 gallons of slurry, giving it capacity to spread up to 100,000 gallons of slurry per day. 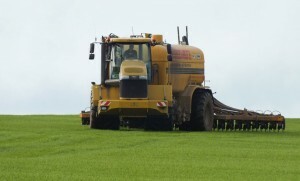 The back and front wheels follow different paths (known as a dog walk) meaning it does less damage through ground compaction than a tractor and tanker.